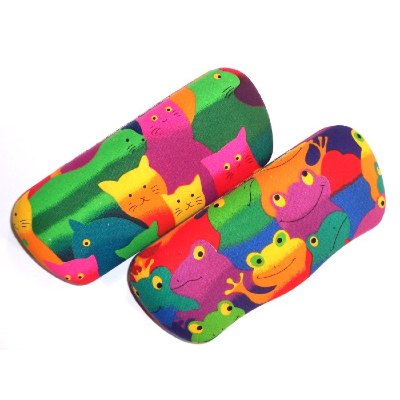 Available in Cool Cats and Funky Frog designs. 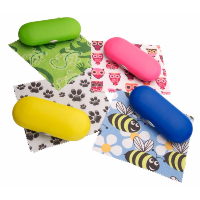 Brightly Coloured (Easy to Find) Padded Fabric Covered, Metal Spectacle Case made especially to appeal to children. 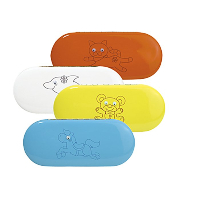 An attractive case will make spectacle wearing more attractive for children and the metal case will give good protection for the child's frames. Suitably sized to take most children's frames. 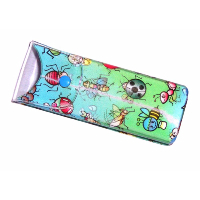 The inside of the case is fully lined in a neutral coloured soft plush. Other Children's Frames in stock.